The official opening of the new training hall by Paralympics GB Chef de Mission for Tokyo 2020, Penny Briscoe OBE, took place at the English Institute of Sport in Sheffield. 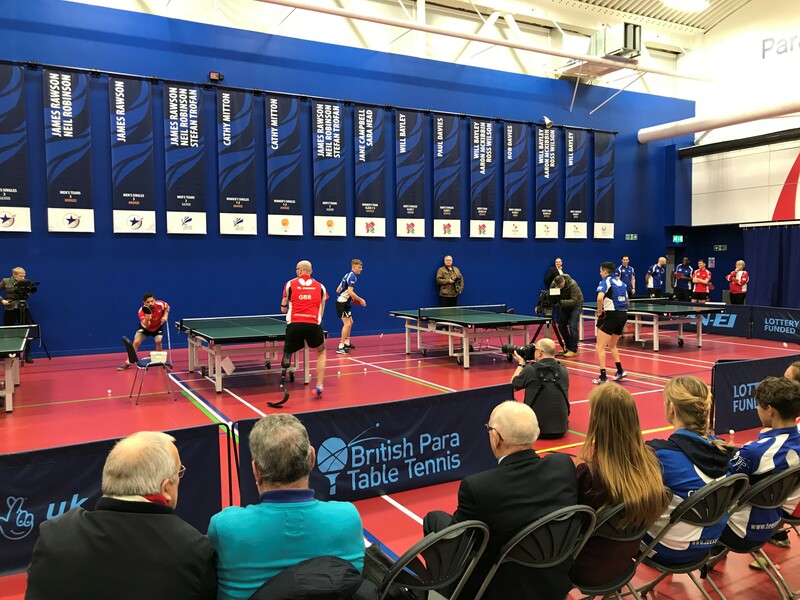 The British Para Table Tennis Team’s journey to Tokyo starts with the transformation of their training hall designed to inspire the athletes as they begin the process of qualification for 2020. The event included a demonstration of the different classifications in Para Table Tennis, both wheelchair and standing athletes from the BPTT Performance Squad including reigning Paralympic champions Will Bayley and Rob Davies, and World and Commonwealth champion Ross Wilson, as well as Performance Director, Gorazd Vecko and Head Coach, Greg Baker. The English Institute of Sport is another prestigious sporting arena that DYNAMIK has installed their their Sprung system finished in a Tarkett Omnisport Vinyl playing surface. Contact us for more information on how we can find the best sports flooring solution for you.